This is a tradition that is observed is many weddings. You need to know about it so you can do the MC’s job seamlessly if it is part of this wedding. “Don’t go away (bride’s name).” (they frequently run). 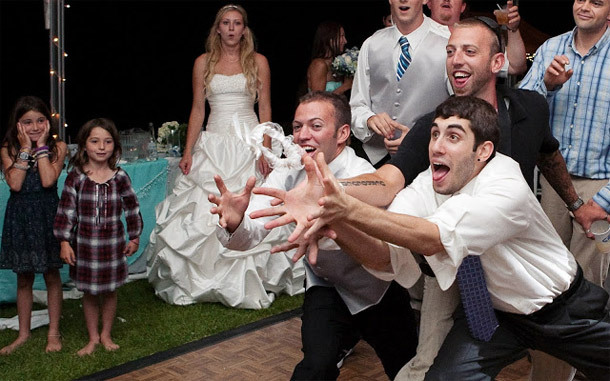 When the Groom has finally removed the garter, the MC will count to three and the Groom will throw the garter over the back of his head to the waiting single males. Also, and only if appropriate, tradition states that the person who caught the garter has to refit it to the leg of the girl who caught the bouquet. Some dance music could follow just before conclusion of the event depending on the time and what you had arranged in advance with the Bride and Groom. The MC should at this point say a final goodnight and once again thank the remaining guests on behalf of the staff and management of the function centre and wish them a safe drive home. It must be emphasised that this section is a guide only and each function should be performed according to the clients’ wishes and those of the function centre. Be flexible and approachable and do as they wish! This concludes our series on Wedding DJ success! Best of luck with your next wedding, we hope we’ve been able to help you with the suggestions and ideas. THE WEDDING RECEPTION – The First DanceGet the best out of your Balls! Mirrorballs that is.. I liked this post. Wedding means a big day for anyone that needs to be special. Choosing a good venue for a wedding and reception is an important thing. Along with this entertaining your guests is also an important part of this day. Hiring a wedding magician is also a good idea. 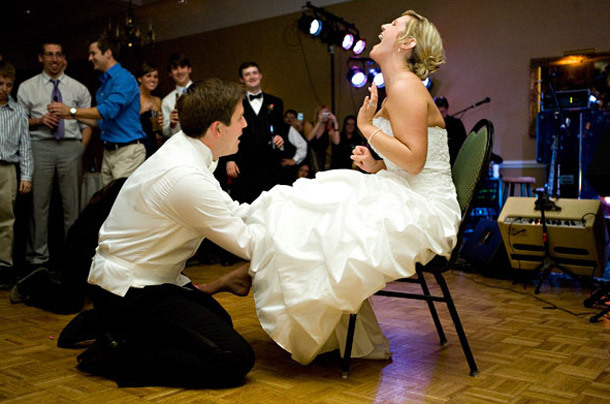 It won’t let your guests feel bored as a magician will keep entertaining your audience with his amazing magic tricks.